What Happens After Reporting Elder Abuse in a Nursing Home? Home / Elder Abuse / What Happens After Reporting Elder Abuse in a Nursing Home? According to the National Council on Aging, approximately 10 percent of all U.S. adults over the age of 60 have suffered some type of elder abuse – be it physical, emotional or financial. Thousands of cases of elder neglect, abuse and exploitation go unreported, as many seniors are reluctant to or incapable of asking for help. Social workers, nurses, physicians and other health care and medical professionals are legally obligated to report suspected cases of nursing home abuse. For others – especially family members who have placed a loved one in a nursing home or residential facility – it’s important to keep alert for signs that something is amiss. Whether it’s a rash of unexplained bruises, falls or a sudden change in your loved one’s personality, there are several ways to report signs of nursing home abuse in California. Who investigates elder abuse complaints? 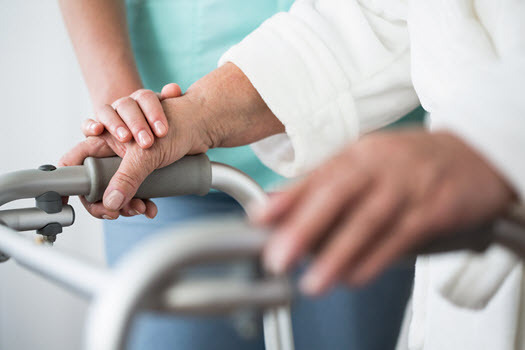 If the elder abuse involves a family member or loved one in a nursing home or other type of skilled nursing facility, the state’s Long-Term Care Ombudsman will generally have jurisdiction over investigating and resolving the complaint. This agency, which is administered by the California Department of Aging, oversees complaints of alleged abuse or neglect that take place in nursing homes, intermediate care facilities, adult day health care facilities, and other residential centers for seniors. The Long-Term Care Ombudsman’s offices investigate complaints of abuse and are provided legal access to the facility or nursing home in question. There, they will interview personnel and health care aides and attempt to resolve the complaint. It is important to note that the Ombudsman does not have direct authority over a nursing home, or other government-funded facility. They can, however, help family members file a formal elder abuse complaint with the California Department of Public Health or Adult Protective Services. Adult Protective Services (APS) also handles reports of elder abuse, neglect and exploitation. If you file a report with APS in California, one of their professionals will screen the details of the complaint to determine if the agency has authority to move forward. If so, a trained APS case worker will make an immediate in-person visit to the alleged victim in situations involving threat of imminent danger. Otherwise the case worker will contact the victim within ten days. It is the case worker’s job to develop a close relationship with the victim in order to establish trust during the investigations. If the case worker discovers evidence of criminal activity, they will report their findings to local law enforcement. An APS case worker will develop a plan for the victim that best suits their individual needs. According to California Health & Safety Code §1420(f), case workers must issue any citations resulting from its findings within 30 days of completing the abuse investigation. Depending on the violations incurred, the DPH can impose fines on the facility. Investigations of nursing home neglect or abuse that were filed on or after July 1, 2018 must be completed within 60 days under California law. In some circumstances, this deadline can be extended in additional 60 days. Sean Salamati is an experienced elder abuse lawyer in Los Angeles who can help families navigate the process of complaint investigations and pursue available legal remedies. Call 855-583-6837 to arrange a complimentary case review today. Se habla español. « Can I Sue for Injuries if I Wasn’t Wearing a Motorcycle Helmet?